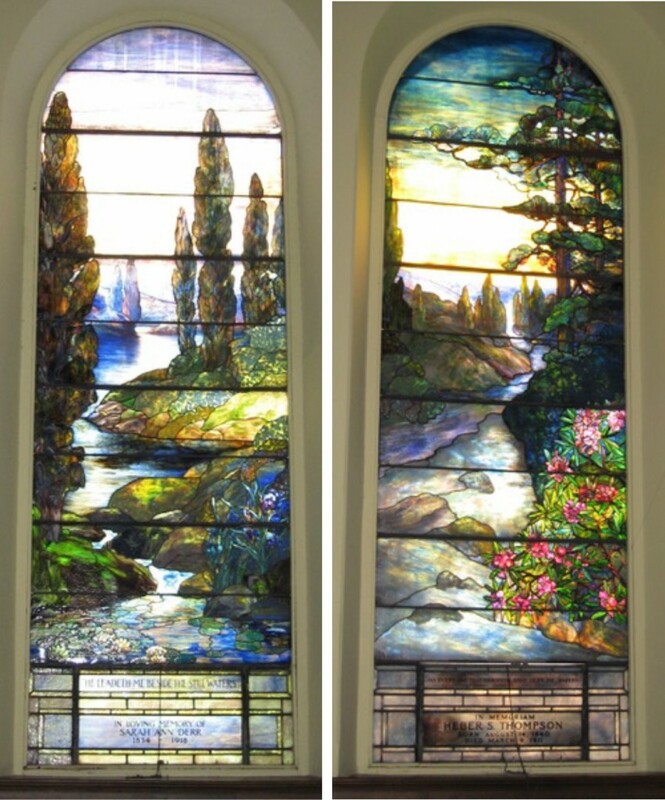 The sale of these two Tiffany stained-glass windows is helping United Presbyterian Church in Pottsville, PA, upgrade its heating system and also incorporate funds into many of its community outreach programs. Two beautiful signed, stained-glass Tiffany windows adorn United Presbyterian Church in Pottsville, PA. What’s inside is just as magnificent: a church body with a big heart for the community in which it lives. And now, thanks to some coincidental – or divine, if you will – occurrences, those unique windows will help the congregation build on the programs it has already started and replace an antiquated heating system. It all started when the church’s coal boiler needed replaced and there weren’t adequate funds available to cover the six-figure bill. It was eventually decided to sell the two rare and sought-after windows at United Church to install a new heating system. It also meant that a homeless shelter and community groups like the food bank, preschool, mother’s support group and others that are at the forefront of the congregation can now be expanded going forward. 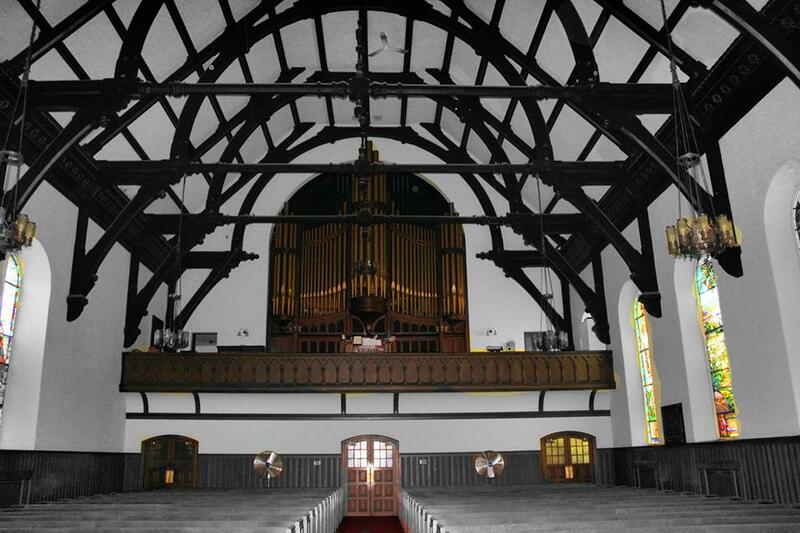 In the early 1900s, United Church was booming as it found itself in the middle of a thriving coal industry. Because many of the coal mine owners attended United Church, and thinking that coal would be a viable source for heat for many years, it installed a coal boiler in their new church building. They also decided to purchase stained-glass windows in honor of their families, traveling to New York City to have them created. Louis Comfort Tiffany, a well-known stained-glass maker, was contracted to produce two signed windows for the church, while a third was done by an apprentice at the studio. Two additional windows were made by the Lamb Studio of New York, another prominent stained-glass studio at the time. Because the two Tiffany stained-glass windows provided beauty and pride to the congregation for a century, there was plenty of hesitation from the congregation to sell them. But, the church badly needed a new heating system, so the session had discussed the option that it might have to part with the windows to save the church. Marsha attended a session meeting at United Church in the fall of 2016 to discuss loan options for the church. The session, not wanting to go into debt that would be passed onto their children and grandchildren, realized the best option might be to sell their prized windows. “The families that had grown up there for several generations are very attached to those windows,” Marsha said. The next morning about 12 hours later, Marsha was sitting in on a Society of the Arts board meeting at the Allentown Art Museum – an organization she has been a part of for 16 years through her love of quilt-making and textiles – when she heard a speaker explain how the goal of the museum was to focus on local art and support small towns in the area. The stained-glass windows can be seen at the right of the sanctuary in United Presbyterian Church. The idea stuck, and after an appraisal of the windows and eight months of negotiations, United Church agreed to sell the windows to the museum in what turned out to be a perfect resolution to the church’s problems. It is also helping the congregation expand upon the community programs it already has in place. “As beautiful as the windows are, what is of value are the relationships,” Sue Marie said, recalling a comment made during a congregational meeting when selling the windows was discussed. It didn’t hurt that the building in which the museum is located is the former home of the First Presbyterian Church of Allentown. The first Tiffany window, which was inspired by Isaiah 55:1 (“Ho, every one that thirsteth, come ye to the waters”), was placed in the church in 1914. It portrays a hilly woodland scene that includes a mountain stream rushing down between high treebanks. A patch of pink rhododendrons is also featured under a sunset sky. The 23rd Psalm (“He leadeth me beside the still waters”) is the focus of the second Tiffany window, which was dedicated in 1920. The text is captured by a large river that winds from the background of hazy blue mountains through wooded landscape. Mossy rocks appear in the foreground as the river breaks away into a quiet pool surrounded by patches of purple iris, which along with the rhododendrons is a signature of Louis Tiffany. An inscription at the base of the window says it was created in memory of Sarah Ann Derr, whose son (Louis Derr) worked with Tiffany to create the window. Because the museum must do some construction to properly house the windows, the windows have remained at United Church for months after the negotiations were finalized until the museum is ready to receive them. The church, however, has already started receiving the money for the windows, which has not only helped United Church update its heating system but will also be used for other needs around the building like handicap accessibility. For Marsha, who has made it a habit to attend session meetings within the Lehigh Presbytery, this is not the first instance that she has been in the right place at the right time. A few months earlier she helped Washington Presbyterian Church in Reading acquire a handicap ramp thanks in part to her connections with several people who work in the city’s infrastructure.